The Chicago Department of Transportation is seeking a partner or partners to run the Sustainable Backyards Program (SusBy). SusBy helps Chicago residents manage their backyards more sustainably, especially through the implementation of green infrastructure that reduces runoff and provides other environmental benefits. SusBy accomplishes this by educating the public and distributing rebates for rain barrels, compost bins, native plants and trees. Core functions of the SusBy program include program marketing, rebate processing, budget and grant administration, education and program evaluation. Please note that a mandatory respondents’ pre-submittal conference will be held at 3:00 PM on Monday, April 16, 2012 at CDOT (30 N LaSalle, 11th Floor). If you wish to submit a proposal for the SusBy program, you or a member of your team must attend the meeting on April 16, 2012. All those interested in attending should RSVP to Sean Wiedel at sean.wiedel@cityofchicago.org by Friday, April 13, 2012 and write “Sustainable Backyards (SusBy) Respondents Conference” in the subject line. 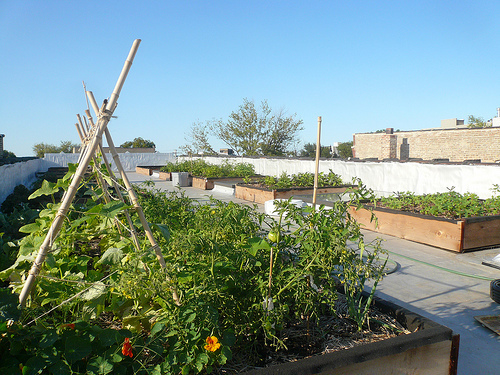 Chicago resident, Breanne, has built an incredible rain harvesting system consisting of seven rain barrels, daisy-chained together, and a well pump to force the water up to a rooftop vegetable garden. She explains the materials and tools used to build this system in this HOW TO article on re-nest, a green home blog. Breanne and her rain barrels were also featured on the What Our Water’s Worth blog this past Spring. An inspiring set up, indeed. If you have a great rain harvesting system you would like to share with fellow Chicago residents, please send a description and photo to rainbarrel@cityofchicago.org. Did you know that the Midwest region has a green industry association dedicated to adopting sustainable designs, methods and materials as standard practice? The Midwest Ecological Landscaping Association (MELA) has a growing membership of over 120 landscape designers, contractors, suppliers and nurseries committed to sustainability. 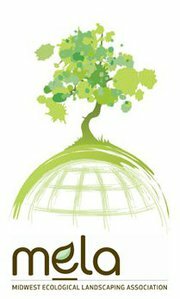 They also keep an excellent calendar of events and workshops on the subject of sustainable landscaping; check it out: http://melaweb.org/calendar.php. 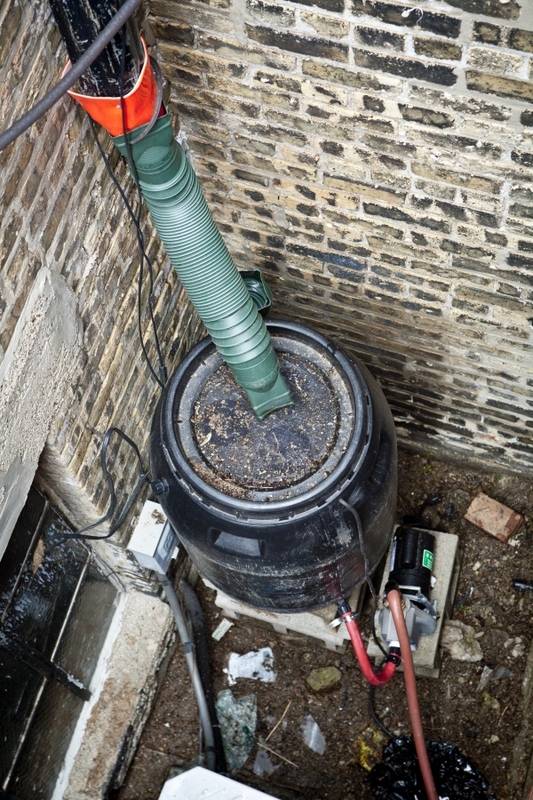 Despite being near the world’s greatest, and seemingly “endless”, source of fresh water, the City of Chicago has been promoting rain harvesting for a very long time, as can be seen in its historic rain barrel program and now the Chicago Sustainable Backyard Program. 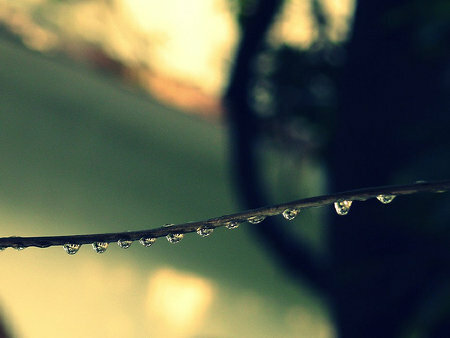 In the face of climate change, where we are expecting rain to fall more heavily over shorter periods of time but less frequently causing more dry spells in the summer, Chicago’s efforts to conserve fresh water and manage stormwater will be increasingly important. After a summer like Chicago has had, too bad not everyone had a rain barrel in their backyard. The City of Chicago’s leadership in sustainable stormwater management practices is being recognized around the world. Recently the BBC visited some City sites to get a better idea of how Chicago is using green infrastructure and rain harvesting to handle stormwater. Chicago residents can follow the City’s lead in stormwater management by participating in the Chicago Sustainable Backyard Program. Here is a recent article about the Sustainable Backyard Program in Gapers Block. Keep up the great collective work, Chicago! The IDNR Division of Education is working in partnership with the U.S. Fish and Wildlife Service’s Partners for Fish and Wildlife Program and the Illinois Conservation Foundation to expand the Schoolyard Habitat Action Grant program. The maximum available funds per Schoolyard Habitat Action Grant application increased to $1,000! The Schoolyard Habitat Action Grant program provides funds to establish or enhance wildlife habitat on the school grounds or other public place and is available to teachers, youth group leaders and nature center personnel. Butterfly gardens, rain gardens, prairie plots and wetlands are just some of the projects that qualify. Visit http://dnr.state.il.us/education/CLASSRM/grants.htm for details. In 2002, Marcus moved into a typical suburban two-flat in Elmhurst, IL, and has spent the last nine years turning it into to an extraordinary demonstration of what can be done in the residential environment to treat rainwater as an invaluable resource. Check out all of the amazing things he has done in his yard, from reinvigorating the underground cistern, to installing permeable pavement, to planting a huge rain garden (please note we do not recommend prescribed burning on residential land; he is a professional, folks). A very cool demonstration indeed!